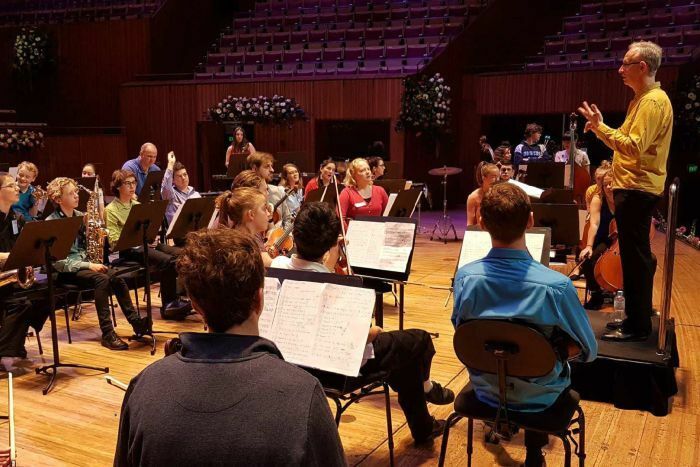 A group of New South Wales high school students dubbed the next generation of musical composers have spent the weekend learning their craft from the best in the business. 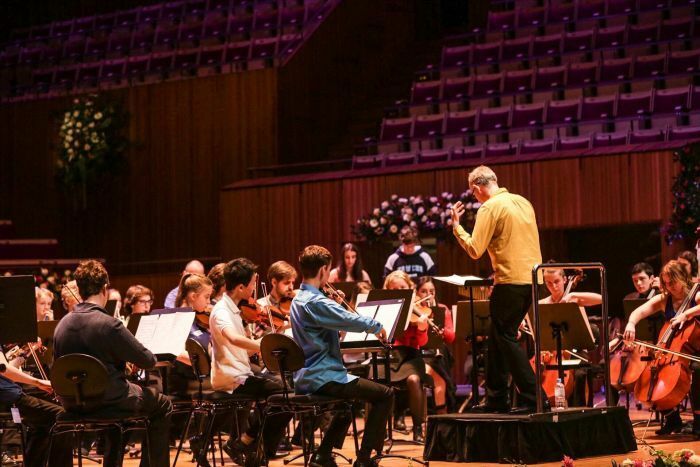 Around 40 teenagers from the city and the bush attended a masterclass at Sydney Opera House with musicians from London’s famous chamber orchestra the Academy of St Martin in the Fields. The chamber orchestra is touring Australia for the first time in almost three decades. Workshop leader John Webb led a group of 38 children from schools across the state, in two days of intensive music writing and rehearsal culminating in a performance on Sunday. 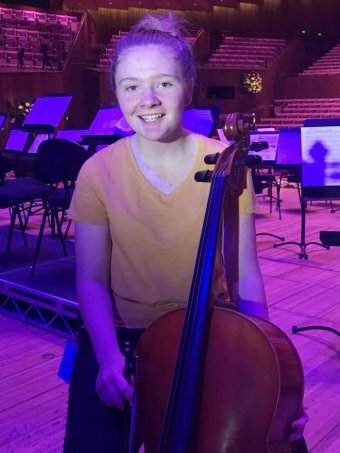 Cellist Aylish Jorgensen, 14, from Albury High School, said it was great to play with a range of different people and learn new ways of composing. “At our school we don’t have much of a music program … it’s great to play with musicians you don’t play with every week,” she said. “I’ve also been able to see how pieces are made, everyone has different interpretations of how to compose and it’s really great to see the different ways things have been presented here. Mr Webb, who is also a composer, said he tries to create a playful kind of atmosphere, which allows students to try things out. “It’s not pencil and paper, it’s trying things out, practically, aurally. Seeing if you like them, altering it if you don’t and then gradually building up melodies and accompaniments,” he said. “They’ve been a fantastic group, amazing to work with, so on the ball and so eager and keen to keep going. “We had six hours of rehearsals on the first day, which is a long time and actually there was a sense of disappointment that we had finished after six hours. Sydney Opera House and the NSW Department of Education’s Arts Unit organised the event as part of a three-year arrangement that aims to deliver educational programs, events and attractions encouraging innovation in arts learning. 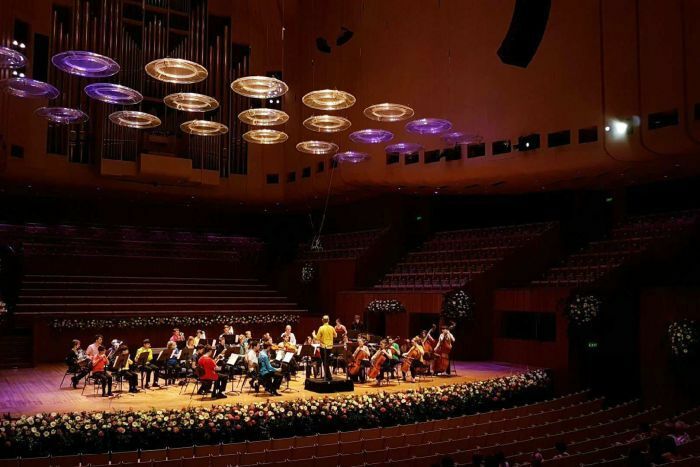 More than 10,000 public school children are expected to have the opportunity to perform in a series of concerts at Sydney Opera House led by the Arts Unit over the next three years. Sydney Opera House spokeswoman Bridgette van Leuven said the master class program facilitated young people’s interactions with international and national touring artists. “This is a unique opportunity for these high-level music students from across the State of NSW to immerse themselves in the expertise of some of the world’s finest musicians and musical educators,” shes said.